You may want to read about early recordings, to put this famous one of Lehmann’s Der Rosenkavalier 1933 recording, in perspective. It’s also fascinating to read what Lehmann herself had to say about the opera. Or listen to what she has to say about the role of the Marschallin: LL speaks about the Marschallin There are many references to Lehmann’s performances as the Marschallin in magazine articles. Here are a few samples from the famous studio recording of the opera: Da geht er hin, der aufgeblasene schlechte Kerl and Hab’ mir’s gelobt. Below you may read reviews of the live Met Rosenkavalier of 1939. Lehmann fans are well-aware that she created the definitive realization of the role of the Marschallin in Der Rosenkavalier of Richard Strauss. Most followers of her career also know that she was the first to sing all three leading soprano roles in the opera. 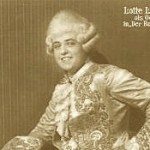 Norman Del Mar in his detailed book on Strauss writes: “…of all the great artists who have made their reputations in this most endearing and human of all operas it is surely Lotte Lehmann who has reached the greatest heights and won the most hearts with her creation of the great lady.” Although Lehmann was associated world-wide with this role, she reminded interviewers (me among them) of her devotion to singing Fidelio, her love for the role of Elisabeth in Tannhäuser or the humanity she found in Sieglinde in Die Walküre. But she did have a fascination with the character of the Marschallin and its detailed realization in sound and action. Sadly we have only audio records of her Marschallin performances. These are of high quality and I only say “sadly” because of the consistent high praise she received for her acting. “She was every inch a princess—voice and gesture alike…” (Telegraph); “…an actress whose quiet ease is the perfection of the art that conceals art” (Ernest Newman); “…nobility of style and a depth and variety of emotion,” (unidentified source). 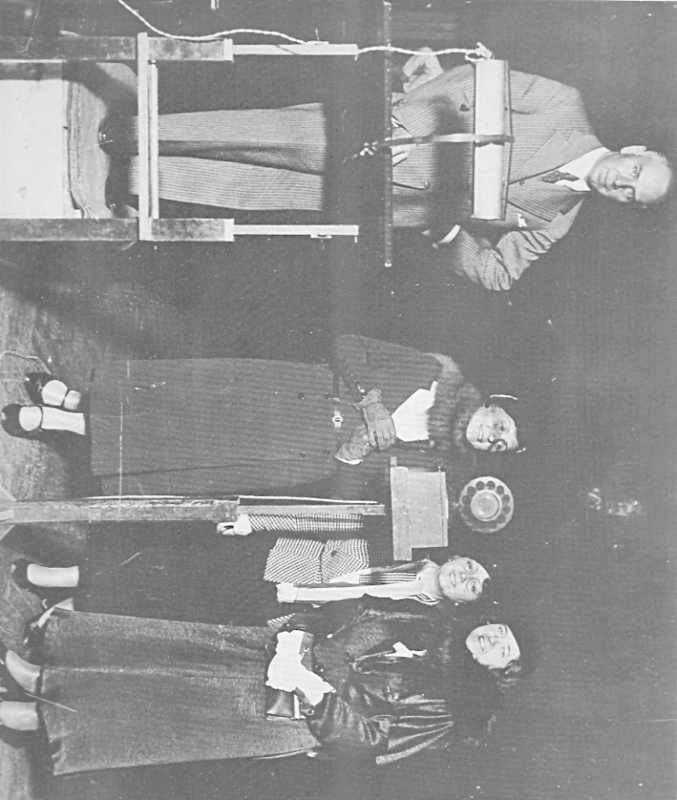 When the “ideal” cast was gathered to record the opera in 1933, the result was critical as well as public approval. The original 78rpm album was available until the 1953 re-issue on microgroove (both 45 and 33rpm), followed by a long list of further reissues, re-mastering, cassette and CD formats. A “direct from metal masters” CD from Références is available, a fine release from Naxos and most recently, the Pristine version, with their own acoustically enhanced process. The CD released by Pearl made from shellacs isn’t as good as LPs. During the past decades critics have consistently referred to the recording as the “classic Rosenkavalier” (David Hall); “precious heritage” and “impersonations that will be remembered as long as the opera is played” (Irving Kolodin). The following article is by Horst Wahl. Not only was he familiar with all aspects of recordings of that time, but he was also a personal friend of Mme. Lehmann. His dedication to Lehmann is evident in the care he has taken. 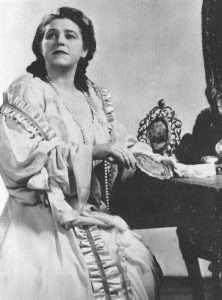 If ever in the history of opera there were an identification between a role and an artist it would be that of Lotte Lehmann as the Marschallin in Richard Strauss’ Der Rosenkavalier. It was a lucky strike that both this role and that of Sieglinde in Die Walküre were recorded in Lehmann’s prime. In 1932 it had been decided to produce the complete Der Rosenkavalier with the composer as conductor. But his price as well as that of Bruno Walter led to the selection of Walter’s protogée Robert Heger. 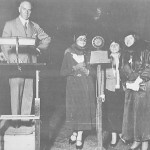 The effects of the Depression were not yet over, so cost cutting measures had to be considered. This included the “cuts” made in this long opera. 12 discs were originally projected, but finally 13 were released (26 sides) in which the choices allowed for connecting scenes of the high points of the opera. 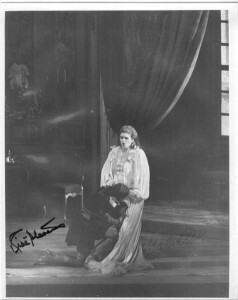 Lehmann was the obvious choice for the Marschallin; Elisabeth Schumann as Sophie and Richard Mayr as Baron Ochs were almost as inevitable. In the happy choice of Maria Olszewska as Octavian, HMV found an aristocratic sounding mezzo whose sound was sufficiently different from that of Lehmann and Schumann, but who provided a complete blending in the duets and trios. The orchestra consisted of 10 first and 8 second violins; 6 violas, 5 ‘cellos, 5 basses, 1 piccolo, 2 flutes, 3 clarinets, English horn, 3 bassoons, 4 horns, 3 trumpets, 2 trombones, 2 bass trombones, 1 tuba, 2 harps, tympani, drums, celeste and piano. Members of the chorus of the Vienna State Opera and the Vienna Philharmonic Orchestra were conducted by Robert Heger. The dates, matrix and take numbers are valid only for published takes. Because there were two cutting machines working at the same time during the recording sessions, each take produced two wax masters. The recordings of the first machine were unidentified in the matrix numbers; those of the second machine are shown by an “A” after the take. Catalog numbers DB 2060 – 72 (matrix 2WX 581 – 606) were issued in England in December 1933 and in Germany in June 1934. They were issued in America on Victor 7917 – 29 (set M – 196) which included matrix numbers CVS 81418 – 81443. The auto coupling set was AM – 196 (7930 – 42), auto drop sequence coupling DM – 196 (17119 – 31). The following list [not included: see complete discography] demonstrates what an incredible confusion existed in the order of the recordings. Our wonder and appreciation for the highest artistic standards are awakened when one hears the development and connection that is achieved. If one imagines listening to the four minute “takes” that we hear unbroken on LP or CD, then one has a better appreciation for the level of identification the artists had with their roles and the situations. The recordings began on the afternoon of 20 September 1933 and ended 4 1/2 days later. The great number of “takes” doesn’t necessarily indicate artistic errors; the necessary combinations of solo and ensemble voices with orchestra demanded by the score forced the technicians to try various microphone placements [Remember only one microphone was used]. Both cutting machines produced the same number of possibly usable waxes, but far from all were saved and registered. Technical and musical reasons resulted in the destruction of many. A total of 58 “takes” or 95 wax recordings, of which 2 were damaged during the trip to England, were quickly made into the album in time for Christmas sales. Alan Blyth writes in the Gramophone; May 1999; Richard Strauss: Der Rosenkavalier; Naxos Historical 8 110034/6; 3 discs; 168 minutes. Recorded from a broadcast performance at the Metropolitan, NY on 7 Jan ’39; Songs recorded from a broadcast performance in the Hollywood Bowl, LA, 5 Aug ’48: Strauss: Zueignung, Allerseelen, Traum durch die Dämmerung, Morgen; Brahms: Wiegenlied; Schubert: Ständchen. You may wonder why there’s room, on the third disc of the recording of Der Rosenkavalier, for 6 songs from LL. The reason lies in the Bodanzky’s heinously arbitrary cuts then customary at the Metropolitan. Yet this issue is an essential document in that it allows us to hear Lehmann’s Marschallin live at a point in her career when she was able, at 51, still to give the lovable, warm, instinctive reading of the role familiar from the 1933 EMI excerpts, available on several reissues (Pearl, 3/90 and EMI References, 4/93). 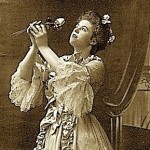 Every phrase reveals her interpretive insights and her inborn spontaneity of response, and shows her to be a complete mistress of Strauss’ conversational style, not least in her unsentimental, elegiac account of the Monologue–and how this Marschallin knows what she is talking about when she tells Octavian of Time’s demands. The voice remains heart-warming as ever, as it does in the uniquely outgoing way she sings her Strauss Lieder with Ormandy—time seems to stand still as she sings, so movingly, Traum durch die Dämmerung and Morgen. The tone of the 60 year old soprano seems practically untouched by time or wear; only the Schubert and Brahms items betray some frailty. In the opera, Risë Stevens in her debut as Octavian, is impetuous enough, but unconvincing as Mariand’l, Marita Farell, a silver voiced Sophie, Schorr—no less—a secure Faninal, but List is a self-indulgent, uninteresting Ochs. Bodanzky conducts a fast, vital amount of what remains of the score. The not-so-good recording often distorts the higher voices, but Lehmann enthusiasts won’t mind all that; rather they will savor the bench-mark Marschallin. At the price it’s well worth acquiring this historic document. Leicht muss man sein; Hugh Canning. International Opera Collector; Spring 1999. The author examines various performances of the role of the Marshallin in Der Rosenkavalier by Strauss. Of course he mentions Lehmann. 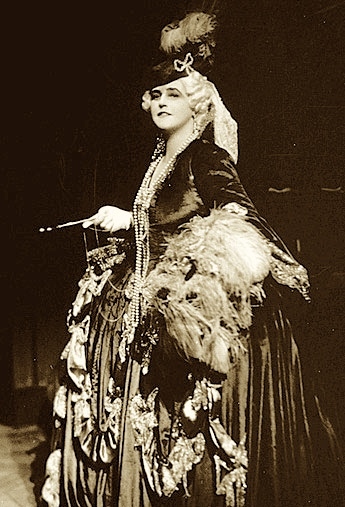 “The most famous of pre-war Marshallins was unquestionably Lehmann, one of the great Elsas and Sieglindes of her day, who created the lyric soprano role of the Composer in the Vienna premiere of Aridane II and the dramatic soprano role of the Dyer’s Wife in Die Frau ohne Schatten. Lehmann’s voice must have developed gradually into the heavier parts, for she is the first of several celebrated Rosenkavalier ‘hat-trick’ holders: sopranos who have progressed from Sophie to Octavian to the Marshallin…. Lehmann’s Marscahllin was, of course, the first to be captured substantially by the gramophone and the ‘abridged’ HMV recording of Der Rosenkavalier, conducted by Robert Heger and with its famous constellation of co-stars–Maria Olszewska as Octavian, Elisabeth Schumann as Sophie, the ripely characterful and sonorous Richard Mayr as Ochs—has accorded her interpretation an almost iconic status, at least among sopranos who sang the role during the composer’s lifetime. 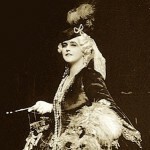 By 1933, when the HMV recordings were made, Lehmann was already 45 …as was, more astonishingly yet, her exact contemporary Elisabeth Schumann, who sang Sophie–and the voice, an instrument of burnished old gold, was beginning to show its age: the bottom register, in particular, sounds chesty and robust, lending Lehmann’s Marie-Therese a matronly quality which I personally find hard to take today. 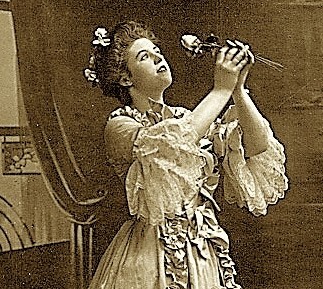 It’s hard to tell whether the limitations of the recording process or the passage of time are principally responsible for the hardening of Lehmann’s vocal sinews, but there remain phrases which she sings with a tonal refulgence and easy delivery which few Marshallins of the modern era have matched: her expansive singing of her instruction to her little black page, Mohamed, ‘Da drin ist die silberne Ros’n’, still has the power to thrill the ear.